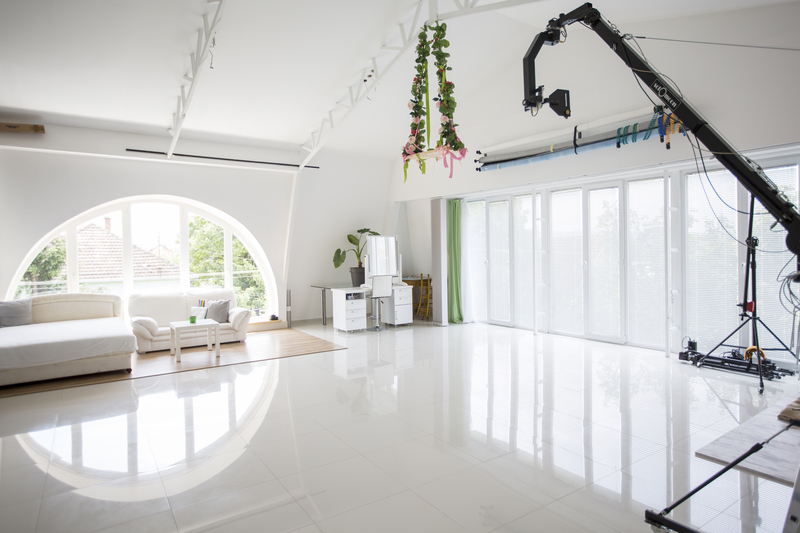 Fotostorm studio is photo studio with lot of natural light, spacious, white and suitable for different kind of photo shoots. Sometimes we have scenery that you can use for your shoots, various backgrounds, lots of props. Parking is not a problem since it is located outside of the city crowd. It’s only 10 km away from city center and easy to find. Wall with the lot of windows is oriented to the west so the light during sunsets are beautiful. Other side with the big rounded window is oriented to the south. We have spacious and very private garden outdoors with the cozy sitting area to sit during the warm and sunny days. If you need to rent our photo studio please contact us for more details so we can suite your needs +381606788346 (mobile: +381606studio). Use any form of communication phone, viber, instagram, facebook or email. We can prepare various scenery for you, different props, organize your photo shoot or help you in some other ways. Photo studio Novi Sad, Rent photo studio, Serbia. Video production, Photo shoot organization. How to find Fotostorm studio, Novi Sad, Veternik.